Great quality steak at affordable prices. Really really friendly staff and lovely atmosphere. We will definitely be returning again soon! I cannot remember the last time I visited a restaurant with half as much value for money as Flat Iron Steak! There is absolutely nothing I can fault. The staff were excellent and extremely helpful, kind and welcoming. The food and drink was spectacular and everything arrived within 10 minutes of us having placed our order. I am very much hoping to return in the very near future for regular visits! Cannot recommend to others enough. Hello, I've been at Flat Iron in Soho a few months prior and the food (specially the meat) was expentional. However, this time, the food was disappoining to say the least. We ordered a medium wagyu steak and a medium rib-eye but we received them both well done. Furthermore the Wagyu (the most expensive dish in the menu!) was very thin slices of meat (a few milimeters) even though this is steak from the hip which is normally enojed in thick slices. After telling the waitress, she changed the Wagyu to a new one. The second Wagyu was visibly thicker and more, however, the meat smelled bad, like it was old. Eventhough the restaurant did not charge us for the Wagyu, we left disappointed. The quality of the meat was not exeptional as I had told my compagnion who was visiting me in London. We speacially felt treated badly and unfairly beacuse we could see other tables having viibly better steaks than us. Also - when you tell a restaurat that the food is bad, the manager comes to you and apologises. We had none of that. Simply amazing. Best steak in London! Specialising in Beef, and it's accompaniments, and then Chocolate, which are all done to a high standard. Overall, perfect service and food. Thanks again for making it a birthday to remember. Delicious experience - a must for every London visiter. Fabulous steak every time - could not rate it enough!! I would like to thank the staff for making our evening so special. It was my sons 21st birthday and the staff went over and above to make it a lovely evening. We were so impressed when they brought out a cake for him Also, the main person waiting on us (unfortunately I do not know his name) at the end of his shift made a point of personally saying goodbye to my son and wishing him happy birthday which was a thoughtful and genuine gesture. This all added to a really enjoyable evening. Amazing food and the waiters were incredibly nice and polite. 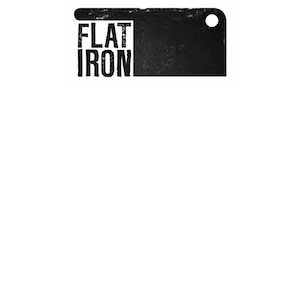 Great food and we always enjoy Flatiron. Really good staff and service, well done. Amazing steak, Amazing service, amazing price! Dinner at Golbourne Road, steak absolutely delicious, service great and very friendly. Waitress got candle and matches out her apron to put in our pudding for my husband’s 30th birthday  We loved it, we will be back! Waitress had very good knowledge of the menu and was very good at explaining the different options to someone with little knowledge of the differences between cuts and origins of steaks. Food was exceptional and very reasonable for its quality, will definitely be returning. Very nice food,, friendly service,, but expensive drinks. Good value for money.